Six years ago this June a process began which culminated in me being asked, as the Director of Play England, by a Cabinet Office official for a list of the most important things that the Government could do for children’s play. This was one of those rare moments, as scarcely believable looking back on it as it seemed at the time. Soon after, the same official asked how much it would all cost, at which point even the fiercest self-pinching could not dispel the notion that I was in dreamland. For several years, those of us involved in campaigning for government action on play had been making the case for a national play strategy, with ring-fenced funding for provision. We also wanted a central policy unit to develop and implement the cross-cutting changes in planning, policing and traffic as well as education and childcare that we knew were necessary to dismantle the many barriers to children’s freedom to play outside. For just as many years, these demands had been made to seem like a fantastical wish-list, not just by a government which equated the “enjoy” part of “enjoy and achieve” – one of the five universal outcomes for its Every Child Matters policy – with children being happy at school, but by some of our supposed allies in the more established children’s sector who made it clear they saw our earlier “day in the sun” – the £155m Children’s Play lottery programme – as a more than ample dispensation. In June 2007 this all changed. Two years before achieving his long-held ambition to succeed Tony Blair as Prime Minister, Gordon Brown, in the run up to the 2005 election, had declared Labour’s next term as being one that would put children first. Nothing especially new or hopeful for play advocates there, but, writing in The Guardian in January 2005, Brown talked about “engaging parents…to find the best balance between care, education and play”. This was a distinct shift from the long-running mantra of “education; education; education”. There are no accidental words in such political writings and, sure enough, there followed the first ever manifesto pledge on children’s play. It was vague enough to not amount to much more than the lottery funding already promised, but was an all-important wedge, allowing us to engage in a new level of policy dialogue once Labour was reelected. What happened in the three years that followed Brown’s succession in 2007 is history; and by most reckonings a calamitous one, culminating in May 2010 with Labour’s defeat after 13 years in power. But Brown’s short, ill-fated administration began very differently, with a renewed optimism sweeping through the government ranks as he set about renewing the New Labour project from the vantage point of initially commanding poll ratings. It was in this first flush of Prime Minister Brown’s ascendancy, over the summer of 2007, that we seized the opportunity represented by the manifesto pledge (which we knew had come from his camp) to press the case for a national play strategy, duly announced by Brown’s leading ally and now Children’s Secretary, Ed Balls, that December. 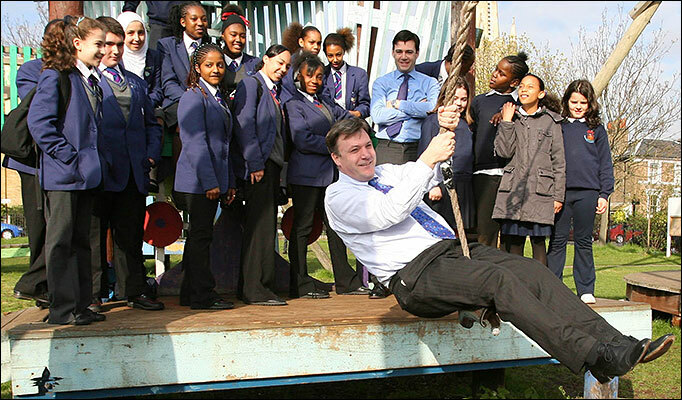 Then Children’s Secretary Ed Balls’ launches the Play Strategy in March 2008. It was, of course, during the time from June to December 2007 that I was asked those £225m questions (and it would be naïve to imagine we were the only ones being asked: my wish-list certainly didn’t allocate nearly £200m to fixed equipment playgrounds). This was part of an intense, almost daily dialogue with a small number of officials charged with drafting what was to be the new Children’s Plan, an ambitious 10 year strategy, building on the progress of Every Child Matters, “to make England the best place in the world to grow up”. For the first time ever – and possibly anywhere – space and opportunity for play was to be at the heart of the new vision. Currently, there would appear to be next to no chance of any of the main parties asking the play sector what it wants from a major policy initiative. Far from a ten-year play strategy, primed with nearly £400m of lottery and treasury money, today’s play policy, if it exists at all, seems to be a minor adjunct to the coalition government’s aim to mobilise armies of volunteers to deliver what used to be public services. Yet the context for developing a new case for national play policy is in some ways now more helpful than it was in 2007. The United Nations Committee on the Rights of the Child has issued a General Comment, expanding upon article 31 of its Convention on the Rights of the Child, to explicitly call on governments to introduce legislation and allocate budgets “to respect, fulfil, and protect the right to play”. Our nearest neighbour, Wales, is already there, with its play sufficiency duty being described in an independent analysis by the University of Gloucestershire as a “bold step into what is potentially a new landscape for government understanding about children’s play”. More immediate factors – economic and political ones – are, of course, profoundly unfavourable. The pervading view that austerity means not just cutting back spending on play, but in many areas cutting it out altogether, is so insidious that we almost seem to have come to accept it ourselves. It is true that we are a long way from receiving a credible hearing for a new wish list of the kind we presented in 2007, but that doesn’t mean we shouldn’t be developing one. A pragmatic acceptance of the need to provide support, to build and protect whatever capacity we can within the current climate of cuts and closures, is not mutually exclusive to marshalling the evidence and growing the campaign for a more helpful one. The case for a national play strategy was first seriously articulated some six years before Ed Balls’ announcement that December. We had made the case, but it took all of that time to win the argument. It may be that this government is not listening to anything that can’t help in its mission to save money and shrink the role of the state. But we are only two years away from a general election, which no one other than government spin-doctors (and not even all of them) is predicting either coalition partner will win. Meanwhile, there are serious and influential voices on the Labour side calling for a proper alternative to austerity. And Ed Balls is now the Shadow Chancellor. These are the voices we should be engaging with. There is all to play for. To some play activists, the playground equipment industry is a bête noire; to blame for the poor quality of children’s play areas that became the norm over the last 50 years. The play movement has rightly decried the “kit fence and carpet” (KFC) playgrounds that came to typify the risk averse, mass-produced approach to what should be a design challenge to fire the imagination. Manufacturers, many argue, must shoulder their responsibility: providers, after all, can only procure what is being offered by the industry. The equipment companies counter that they only supply what their customers, mainly local authorities, demand and that, in any event, swings, roundabouts and standardised climbing frames (if not springy chickens) have stood the test of time. 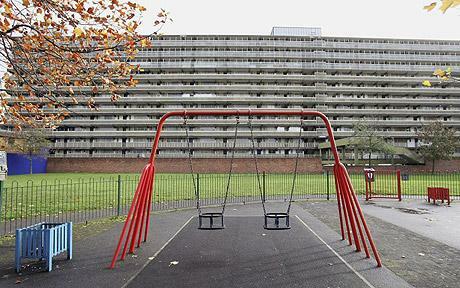 Local authorities, for their part, argue that except for a brief period during the latter part of the last Labour administration – when there was a national Play Strategy and ring-fenced government funding for play –their limited budgets and lack of any national guidance on play left them little choice but to erect cost-efficient, low maintenance kit. As usual, there is validity to both sides of this argument; and there are those who also say that the benchmark for public playgrounds, the Six Acre Standard, has tended to encourage this approach; reducing the spatial standards per capita for play to a quota of fixed equipment installations. Add the perspective of playworkers – who know that the best play affordance is not found in fixed equipment at all, but in the opportunity to construct, manipulate and, yes, destroy the play environment in the organic, place-shaping co-creation that is most possible in adventure playgrounds – and the manufacturers were always going to come in for some stick. In truth, whatever the conspiracy of different factors, the poor state of our children’s playgrounds – which have improved since the Play Strategy, but still have some way to go – betrays the lowly status of children’s play within the general discourse about the public realm and what constitutes “liveability”. It is hard to think of anything else which so clearly needs a societal response (children not having access to the market), yet which has received, until recently, so little attention from social policy. It is equally difficult to imagine any other category of public space that so frequently dispenses with a proper plan, let alone a design concept, and moves straight to the selection of fixtures. When did we decide that the best outdoor space for children should be a flat, fenced-in area, covered with synthetic material and erected with a limited variety of immovable, single-function apparatus? Sadly, the much better response to children’s need to play, real adventure playgrounds (staffed with playworkers and animated with loose parts, the elements and self-built structures), even at their most prolific, numbered probably less than 250 across the UK, which means they were always out of reach to all but a very small minority of the child population. The Play Strategy set about creating 30 new ones in a pathfinder programme that would have seen the best of these replicated across every local authority area … had it survived the coalition’s cull. But now, of course, they are being torn down – or at risk of being so; and the attempt to raise the bar for un-staffed play areas (I dislike the “term fixed-equipment playgrounds” as it perpetuates the notion that play areas are all about kit) through guidance, professional training, monitoring and evaluation has also been binned along with the rest of the Play Strategy. Market forces will always move to fill gaps; and when the demand side (local authorities) has no incentive to discover and respond to what the end user (children) really need, the result is inevitable. Sadly for children, they get the playgrounds that we deserve. But, just as we can’t blame the equipment industry for the dearth of policy or the lack of revenue streams that would allow adventure playgrounds to flourish, it would also be a mistake to think that there are not equipment manufacturers with a real passion and commitment to children’s play, with products to match. One such is the Richter Spielgeräte company in Bavaria, Germany. Founded by the charismatic Julian Richter in the 60s, the company (now partly managed by his son, Julian Junior) is built on strong principles that reflect a real love of the beauty and energy of playing children. Richter’s strong belief in engendering self-determination has seen it buck the trend for low-risk, low-affordance equipment in favour of designs that respect children’s need to take risks, make choices and manipulate their play environment. More than this, the company’s espousal of traditional craftsmanship means that every piece is uniquely fashioned by carpenters, whose expertise and respect for the wood they use – Mountain Larch from environmentally sustainable forests in the Austrian Alps – is evident in the finished product. Richter’s sole UK distributor, Timberplay share their partner’s commitment to play value and were one of the companies happy to embrace the new design principles published by Play England as part of the Play Strategy. Natural materials, better landscaping and a disavowal of rubber surfacing and unnecessary fencing were far from alien steps to this UK company. 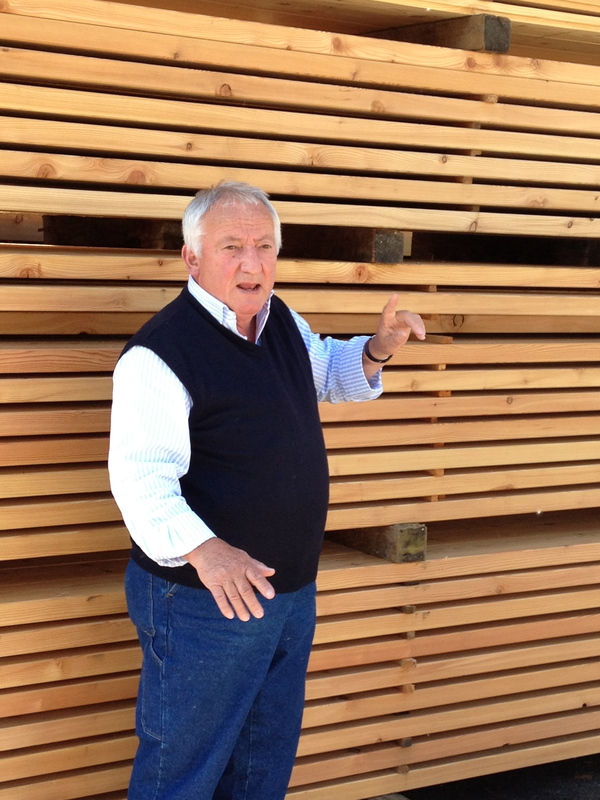 Its MD, Paul Collings had seen in Richter’s use of unshaped logs and hand-planed beams, a quality product that responded to the nature of play more than the highly machined, brightly painted metalwork that had become the norm. Collings is quite happy to acknowledge that a good play space need not involve equipment at all. This is no mere reverse psychology or part of a simply more sophisticated sales pitch. The company organizes study tours to Bavaria and other places, which are joined largely by landscape architects, designers and students. Here the talk is of play with the elements, of risk and challenge, play value and play types. The playgrounds visited are, of course, animated by Richter designs but the company seems genuinely to see itself as promoting the cross-pollination of creative thinking in architecture, landscaping, design, traditional craftsmanship and manufacturing: all in the service of creating great places to play. The business of creating playable space shouldn’t begin or end with playgrounds – and certainly not with equipment – but as things stand they are the main type of provision, and likely to remain so until play services receive revenue budgets more equivalent to those enjoyed by schools, and we have a sustained play strategy that really does transform the built environment and its access to open space for children. When that day comes, perhaps we will see the likes of Richter and Timberplay animating not just our playgrounds, but all our public places. New charity wins lottery support to revitalise high streets with “pop-up play shops”. The new play charity, Pop-Up Adventure Play has been awarded a £10,000 grant from the Big Lottery Fund’s Awards-for-All programme. The money will enable the charity to explore the potential for a national scheme to help local groups establish “Pop-Up Play Shops” or PUPS, in disused high street premises. As well as a feasibility study of the Pop-Up Shop’s potential for national development, the grant will also fund a tool-kit of resources for local groups who want to set up new play provision in their local area and lack suitable premises. Morgan Leichter-Saxby, one of the charity’s directors said of the award: “Play provision for struggling families has never been more important, but play services are under massive pressure with many projects facing closure because of austerity measures. We wanted to start something that wouldn’t cost much money and which local groups could easily adopt for themselves”. The charity’s co-director, Suzanna Law said: “We are thrilled to receive our first grant, which feels like a real vote of confidence in our ideas and our work up to this point”. The Charity has appointed the former director of Play England, Adrian Voce OBE to research the project’s potential and produce the study. Voce said: “This project flies in the face of some current orthodoxies, which is partly why I was attracted to it. These new projects won’t be in nature but on the high street. 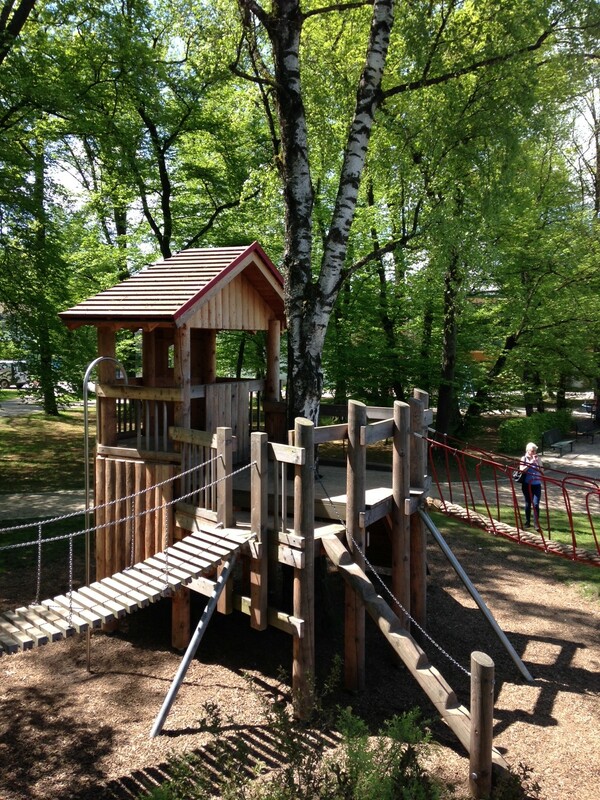 There is currently a big emphasis on the importance of outdoor, “natural” play. This is great, but we want to remind people that the most important thing about play space is that it is where children can get to it”. The project will begin immediately, aiming to publish the study and launch the toolkit in summer 2014. The concept of the Pop-Up Play shop was successfully piloted by Morgan Leichter-Saxby and Suzanna Law, playworkers and researchers who are now the new charity’s directors, in one of Cardiff’s main shopping areas in 2011. With no funding, Morgan and Suzanna themselves evaluated the pilot project, along with another Pop-Up play event they had organized. This was used as the basis for the bid to Awards-for-All. Pop-Up Adventure Play was awarded charity status by the Charity Commission early in 2013. Morgan Leichter Saxby MA, one of Pop-Up Adventure Play’s co-founders, is a writer, researcher and playworker. She has worked with the Museum of Modern Art (NYC), Play England, City of Largo Florida, and the Alliance for Childhood. She directly supports the development of play-based community events and programming in more than 8 different countries, including Colombia, Mexico, Costa Rica and Egypt. 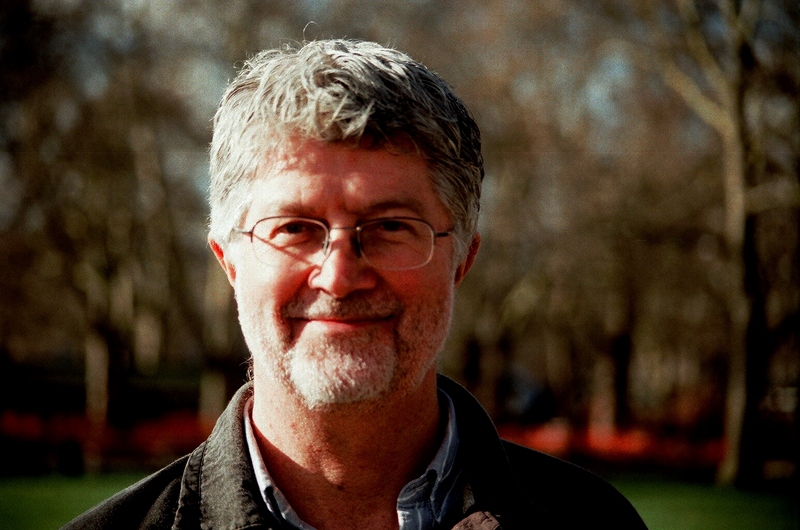 Adrian Voce has worked in children’s play since 1979 and was the first director of Play England, from 2006-11. He is a former director and chair of the national Children’s Play Council (2004-6) and was the first director of London Play (1998-2004). He is now a freelance consultant on play policy and play service development, and manages the specialist blog-site www.policyforplay.com In 2011, Voce was awarded the OBE for services to children.